Many people have an instant connection with the Blair model, and we believe it has to do with size. Blair is only 36” or 92cm in depth, and also 37” or 95cm high, so it’s perfectly balanced, and you know it will fit into the most compact of rooms, without visually crowding your space. The rolled arm is dainty, and the Blair can finished with a bun foot or with a skirt. See our Clare Collection. 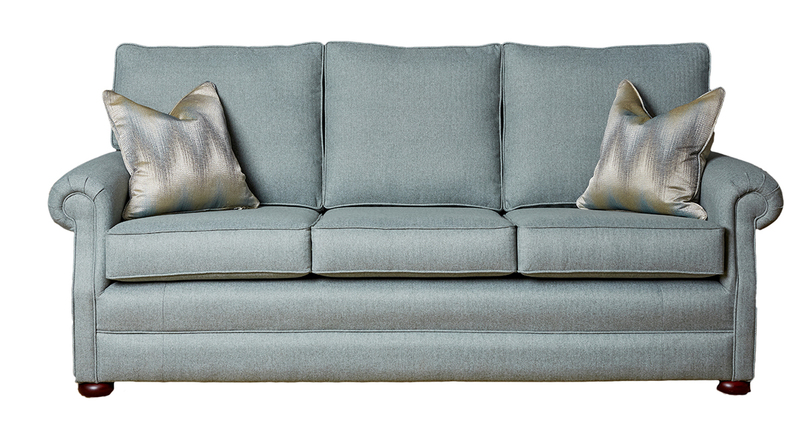 The Blair might be neat, tidy, compact, but it still creates a most elegant and polished look within your home. 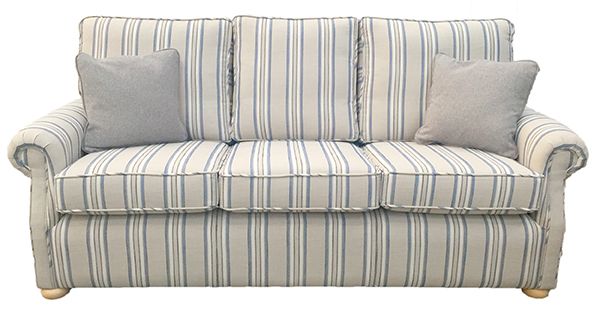 The Blair Collection comes as a Large Sofa, 2.5 Sofa Small Sofa & an Armchair & with a matching footstool to finish the look.